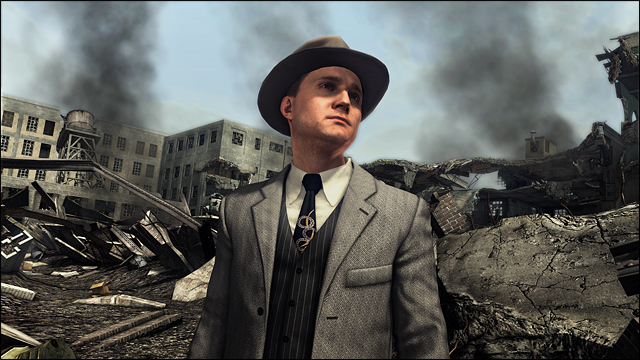 L.A. Noire's Nicholson Electroplating case is out next week, Check out the new DLC Trailer! The first Official DLC (Previous cases were preorder bonues) for L.A. Noire will be out on Tuesday, June 21st, and Rockstar has released a trailer of the new case today. The Nicholson Electroplating case is the DLC Best Buy offered to select gamers at their Midnight Launch Event for L.A. Noire. If you have the Rockstar pass, you've already purchased this content, so for others you can pick up the case next week for 320 MSP ($3). "In L.A. Noire, when a devastating explosion at the Nicholson Electroplating plant rocks downtown Los Angeles, Arson desk detectives Phelps and Biggs are called to the scene. Was this just a tragic accident, or is something more sinister at play?"